A touching and reassuring story about the jitters associated with first experiences and the satisfaction that comes with conquering your fears. Jack loves playing the trumpet, and for weeks he s been looking forward to taking part in his first concert. 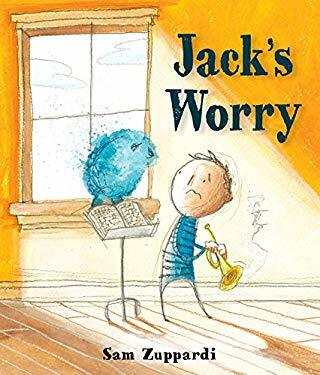 But on the morning of the big day, Jack finds he has a Worry. And his Worry starts to grow. Even when Jack s mother calls him for a special breakfast, even when he hides under the bed or runs around the yard, his Worry follows him. Suddenly, when it s almost time to leave for the concert, Jack finds it s all too much. For anyone who s ever been afraid of failing at something new, this book offers just what s needed to shrink a Worry down to size."